Whenever I switch ON & OFF a motor, a small voltage (3-8 V) produced at the metal surface where the motor is attached. I figure out this small voltage by using an oscilloscope. The voltage lasts in millisecond. I wonder if this small voltage produced when switching ON & OFF the induction motor by using any protective device or component can be eliminated. You should be able to measure high DC resistance from winding to case and earth ground the case. If your 0Vdc is floating in your electronics this may require a 1~10nF cap from 0Vdc to earth ground as well. The voltage created is from the 20mA coil current and mutual inductance . But it is possible your measured voltage could be a measurement error since your choice of reference is the scope’s long inductive probe earth ground (if 20MHz ringing pulse) not the electronics 0V which may be floating or earth grounded. Remember, ground is just where you define 0V. If the transient is crosstalk from the motor coil switch arc voltage at turn off, this can can be snubbed with a film cap and series R across the switch and using twisted pair or STP cable. Not the answer you're looking for? 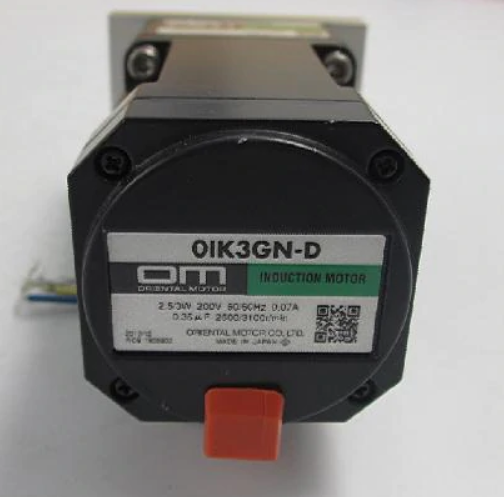 Browse other questions tagged motor switching induction or ask your own question. How can I rotate a small 240VAC induction motor with 12VDC?